The world of Sailor Moon is definitely not kind to happy and stable family lives, at least where parents are concerned. Between Makoto and her trouble with airplanes, Mamoru and his issue with cars, Rei and her difficulties with childbirth, and Hotaru and lab explosions, there seems to be dead parent epidemic going around – and that’s only among the main cast! When you look at it that way, I guess you could say that Ami got pretty lucky with only having her parents divorce. While divorce is a common thing that most of us have first- or second-hand experience with now, what did it mean for viewers back in 1990’s Japan? Surely how Japanese fans perceived it was different than how we look at it now (and in the west), right? Like everything else we discuss, the answer is “complicated.” So let’s start with what we do know: Ami’s parents are divorced, her mother is a doctor, her father is an artist, and after the divorce she kept her father’s name.1 Divorce was certainly not uncommon back in the 1990s in Japan, but it definitely wasn’t something you generally saw on tv or in anime, so that was certainly forward-thinking of Ms. Takeuchi to put in. For a little bit of context, the crude divorce rate (i.e., the rate of divorce per 1,000 people)2 in 1991 in Japan was 1.4% (vs. 2.0% in 2010)3 and 4.7%4 and 6.8%5 respectively in the U.S.
Where Japan and America (and much of the west, in fact) differ most of all when it comes to divorce is that Japan is still a sole-custody-only country – meaning that shared/joint custody is not possible. In the overwhelming number of cases (nearing 90%), the mother retains custody of the children and the father is out of the picture. In fact, in nearly 40% of the cases, the non-custodial parent never sees their child again.6 This would explain why Ami continues to live with her mother and her father only keeps in touch via postcards. Read also: Happy Birthday Ami Mizuno! We also know that she learned to swim and play chess from her father as a way of “keeping herself centered,” so we can assume they had a pretty good relationship. 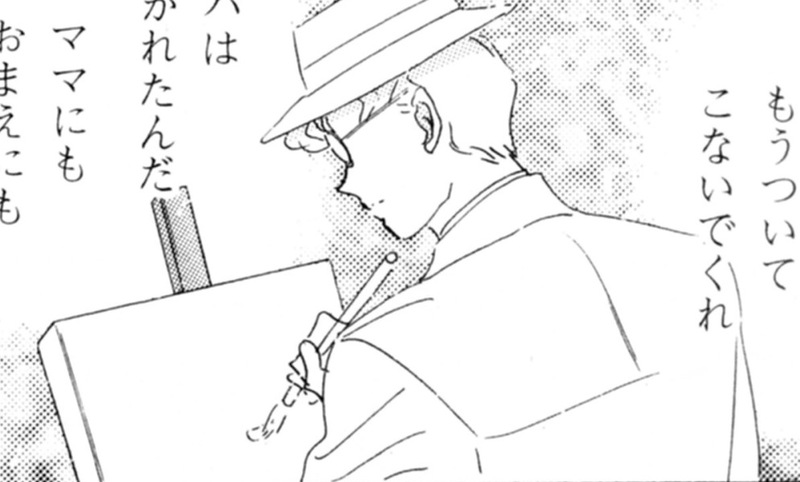 Her father is also a member of an high-class sports club (and the other members clearly know who he is), so we can probably assume that he does (or used to) live in the Tokyo area. Though it’s never quite clear why her parents divorced or what kind of impact it had on Ami, we do know that at the time it definitely left her in the minority, and may have been partially responsible for part of her isolation from the other students in her class.7 One thing that is interesting to note is that while we associate the names of all of the Sailor Team with the female sailor soldiers, their last names actually all come from their fathers – and Ami is no exception. It definitely brings up the interesting question of how lineage works in the Sailor Moon universe, and how things change in Crystal Tokyo (no “Usagi Chiba” here!). In another world and another time, it would’ve been interesting to see how Ami – the brains of the team – turned out if she lived with her father. At least I know I’d be interested in seeing it! ← How Did Naoko’s Part-Time Job Influence the Creation of Rei? Exactly how I felt about the situation growing up. I always felt like he was kind of a jerk and a distant father, but put into the sole-custody context (even for parents who want to share custody, it’s not possible) it just kinda makes sense. Interestingly enough, the anime never really says directly that her parents are divorced, so he could just be off on an adventure as an artist kinda like Rei’s father, but I think they just didn’t want to address the issue because the anime was a bit more light-hearted than the manga. That said, though, I’m really glad that Ms. Takeuchi wasn’t afraid to put in these alternate home lives and to (just maybe!) help out kids who were struggling with similar issues. I’m glad it wasn’t just me! Come to think of it, this is a good example of how lack of cultural context changes our interpretation of a character. I think you see that a lot with the anime though – especially in the light-hearted and comedic flavor Rei and Usagi’s relationship takes, how silly Minako ends up being sometimes, etc. That’s why the death of all the senshi in the end of Classic is so shocking! But I could talk about that for days on end. You also don’t go into as much depth with Rei hating her father and her mother’s death, which is a shame. Though they did touch on that a bit with Hotaru, so the definitely turned around a bit when Sailor Moon S hit the airwaves. But I definitely agree with you: one of the most interesting things (and biggest challenges) of watching a show like this over 20 years later and with a completely different cultural view is that what’s “normal” can be pretty different. But hey, the show got me into learning Japanese in the first place, so I guess it really did succeed! That’s a good point. I do think the case with Ami and Rei is a bit different though. With how different anime Rei is, I don’t think the parent storyline could’ve worked, at least not without some changes. But Ami’s similar enough to her manga counterpart I think they could’ve fit her parent storyline in more easily. Maybe not in the first season or two, but by the time S rolled around, they seemed to not be afraid of pushing the envelope more in terms of content. I think it’s a testament to the show’s quality how it can still enthralls so many despite its age, or cultural differences. And that’s great! Cultures and languages are such a fascinating thing to learn about. I always felt bad for Ami chan for having divorced parents. I really wanted to give her a hug. I love that she has a more dynamic situation, but as someone with divorced parents myself, I definitely feel bad for her. 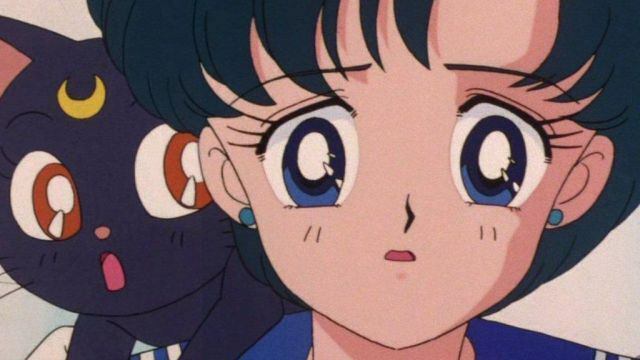 It also had the interesting hook that while it’s presented as a potential sad family situation — albeit when her head was being messed with by villains so certain ‘flashbacks’ might not be reliable memories — Ami doesn’t seem to specifically resent either parent the way Rei outright dislikes her own father or Minako butts heads with her own mother. Since Ami’s mother is away so much, I always just assumed Ami took it upon herself to interact with her father on her own when the mood struck her and Ami’s mom just gave her the space to do that.